9780817314910 | Univ of Alabama Pr, November 4, 2006, cover price $45.00 | About this edition: Nationwide repercussions to a bloody battle on the southern frontier. 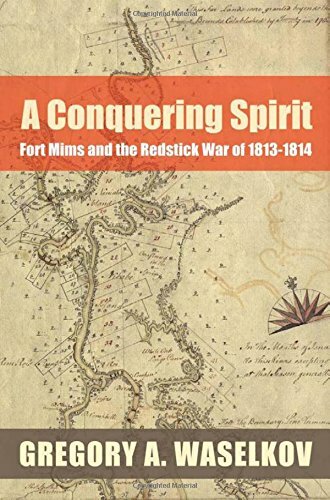 9780817355739 | Univ of Alabama Pr, May 19, 2009, cover price $34.95 | About this edition: The Fort Mims massacre changed the course of American history in many ways, not the least of which was the ensuing rise of one Andrew Jackson to the national stage. Twelve original essays highlight new approaches and current work by leading historians, anthropologists, and archaeologists. Contributors are Helen Hornbeck Tanner; Amy Turner Bushnell; Daniel Usner, Jr.; Stephen Potter; Patricia Galloway; James Merrell; Martha McCartney; Marvin Smith; Vernon James Knight, Jr.; and the editors, Peter Wood; Gregory A. Waselkov; and M. Thomas Hatley, who also provided a preface and introductions to the book's three thematic sections (Geography and Population, Politics and Economics, Symbols and Society). Combining ethnohistory, archaeology, anthropology, cartography, and demography, Powhatan’s Mantle is a provocative introduction to the dramatically changing world of southeastern Indians during the colonial era. 9780803247451 | Univ of Nebraska Pr, August 1, 1989, cover price $50.00 | About this edition: Twelve original essays highlight new approaches and current work by leading historians, anthropologists, and archaeologists. 9780803297272 | Reprint edition (Univ of Nebraska Pr, March 1, 1991), cover price $22.00 | About this edition: Twelve original essays highlight new approaches and current work by leading historians, anthropologists, and archaeologists. 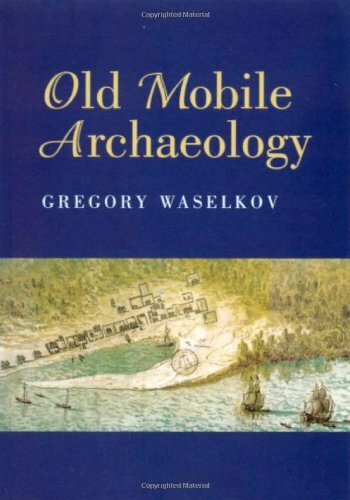 9780817351861 | Fire Ant Books, April 17, 2005, cover price $14.95 | About this edition: An archaeological guide to the earliest French settlement on the northern Gulf Coast. 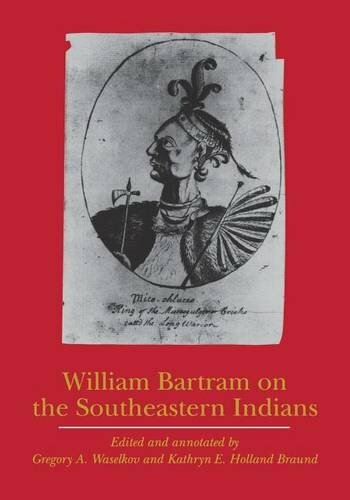 9780803247727 | Univ of Nebraska Pr, June 1, 1995, cover price $75.00 | About this edition: William Bartram traveled throughout the American Southeast from 1773-1776. 9780803262058 | Univ of Nebraska Pr, December 1, 2002, cover price $25.00 | About this edition: "In this splendid volume, editors Gregory A.